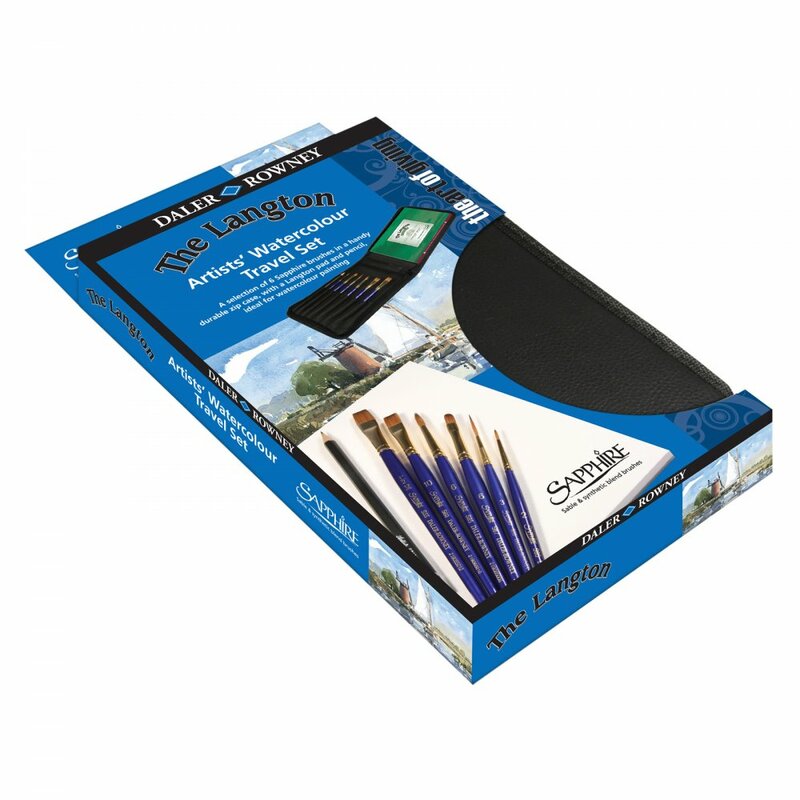 A selection of 6 Sapphire brushes, Langton pad and pencil, ideal for watercolour painting. The Sapphire brushes feature a blend of pure red sable and synthetic filaments, ideally complemented by the Langton pad with its mould made, acid free paper. A perfect set for any watercolour artist.